Are you looking for the perfect fencing to enhance the protection and appearance of your property? 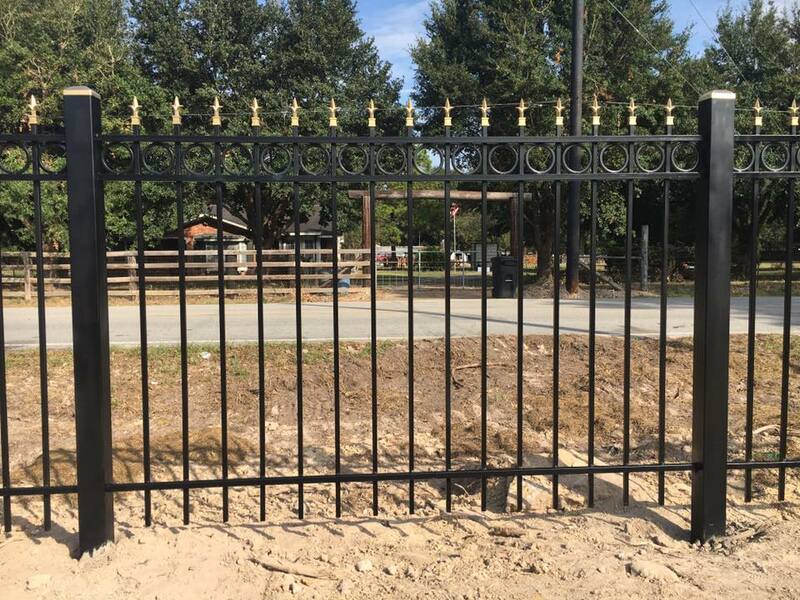 Ornamental iron fencing is the ideal option when there is a desire to add a unique style to your yard but also obtain security. These fences offer a variety of designs and can achieve various functions for your home and property. Ornamental fencing adds visual interest to your yard because of the choice of toppers available. The top portion of the fence can have intricate ironwork to give the fence an artistic design, or contain simplistic designs, depending on your preference. In addition to choosing the design for the top of the fence, you also have multiple options for the body. If you’re going for a decorative fence that still manages security, ornamental iron fencing gives you the chance to express your personality. Iron Keeps Our Intruders – Iron fences are among the sturdiest you can buy. These fences cannot be kicked down and they are difficult to climb over thus guarding against potential intruders. Iron Fences Are Easy to Maintain – These fences can be coated and treated to prevent rusting; this makes it maintenance free. If you prefer a rustic look, that option is available also. Because iron is so durable, repairs are minimal allowing more enjoyment and less work. Increases the value of your property and can last a lifetime for your home. Ornamental fences work well with all landscaping and home architecture designs. 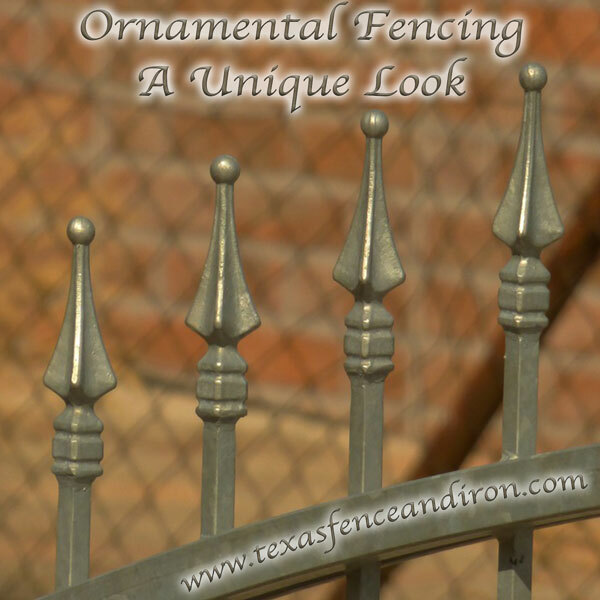 At Texas Fence and Iron Co., your choices are endless. Our fences can be custom designed to your specifications whether the need is for commercial or residential purposes. Our design experts strive to create the fencing of your dreams to bring you the best of beauty and home security for your property at an affordable price. 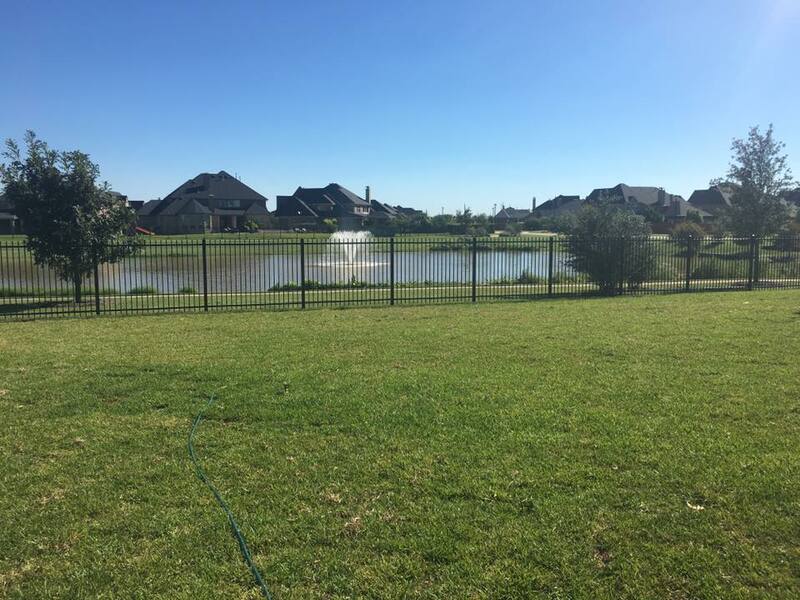 At Texas Fence and Iron Co., our qualified installers will work with you to ensure you are satisfied with your fencing, so you are able to enjoy it for years to come. Why wonder if your investment is worth it? Texas Fence and Iron Co. designs guarantee to bring everlasting value to your new fencing. Contact us today at (281) 955-2050!